There’s one thing that made me look forward to the long weekend. 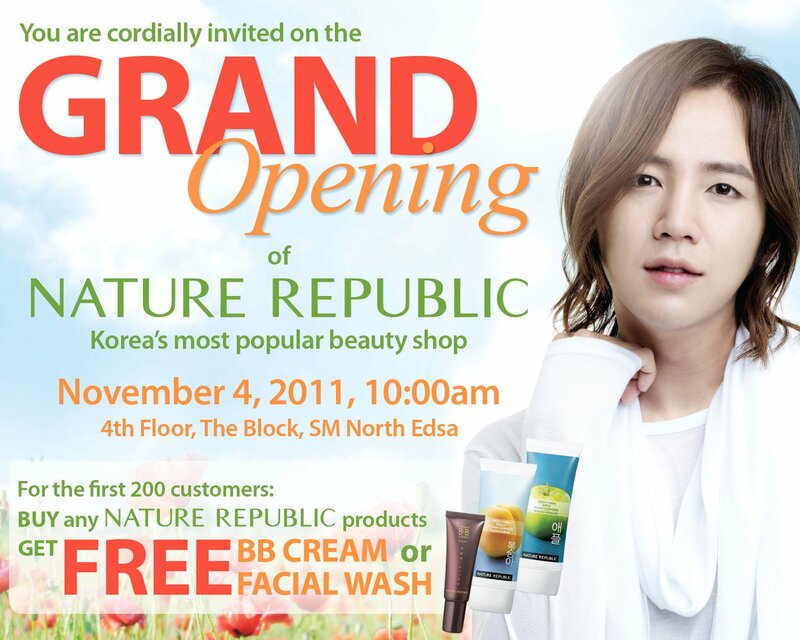 It’s this Grand opening of Nature Republic, a popular Korean beauty shop at the 4th level of SM North The Block last November 4. 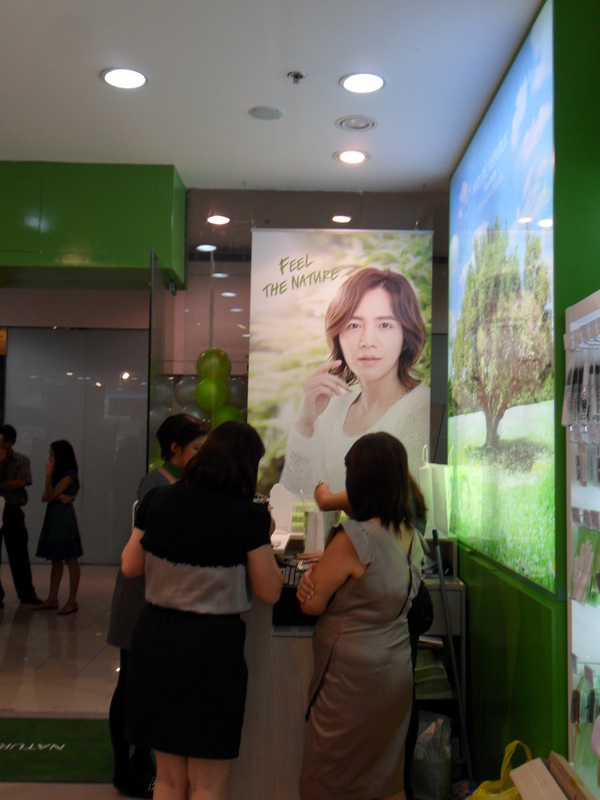 It was a week of anticipation since I saw this wall picture of Nature Republic Philippines at Facebook. It was a long Friday for me at work but the excitement kept me focused to finish my deliverables that day. A Korean fangirl would not want to miss this event so I hurriedly get off from my workdesk around 7pm to catch at least the last couple of hours of the shop’s debut. Luckily I managed to arrive there still fresh and full of energy. 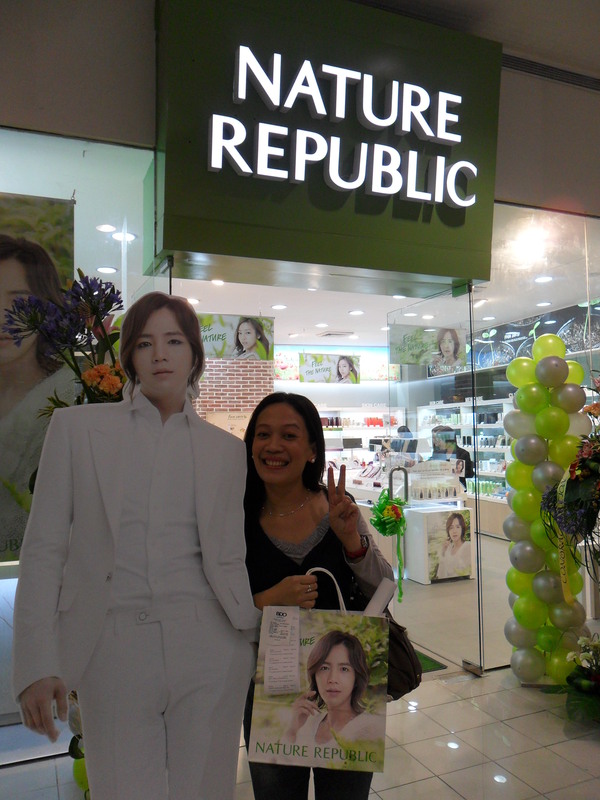 It just made my day upon seeing the signage and of course the huge posters and standee of its Korean Hallyu star endorser, the pretty boy Jang Geun Suk. Sukkie (as he fondly called by fans) became famous in the Philippines for You’re/He’s Beautiful and Marry Me Mary Korean dramas. I really looked crazy as I take pictures without even stepping inside the store. I was just mesmerized just from the outside. No wonder when I get in I can’t stop from smiling. 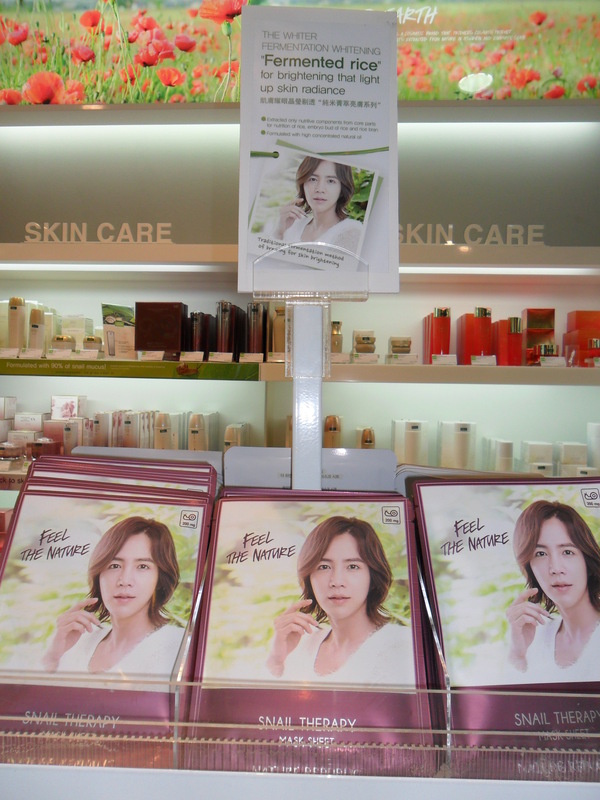 The store is really full of JGS’s handsome face. 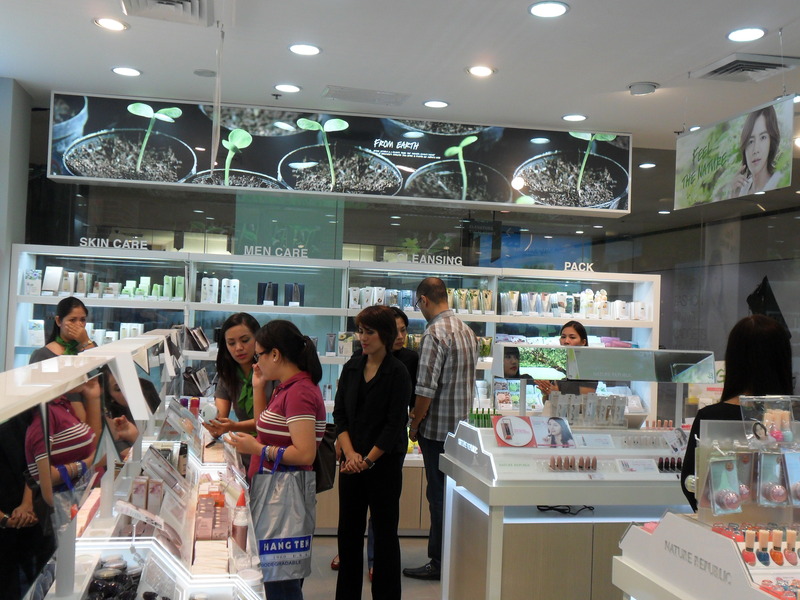 Exclusively for the opening day the store has a lot of promotions for the shoppers. 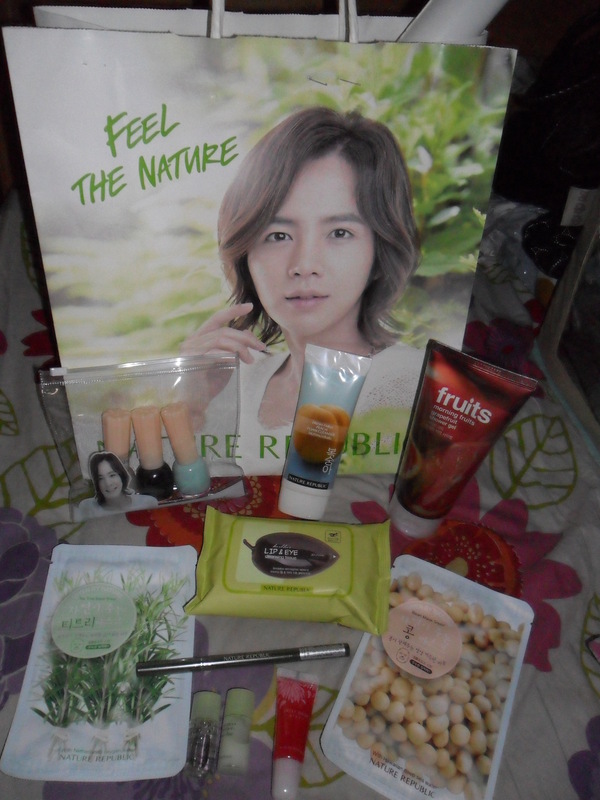 For a purchase of 3 bottles of nail polish (regular at 65 pesos each and their premium line at around 300) you get this cute clear pouch with Jang Geon Suk’s startling face. 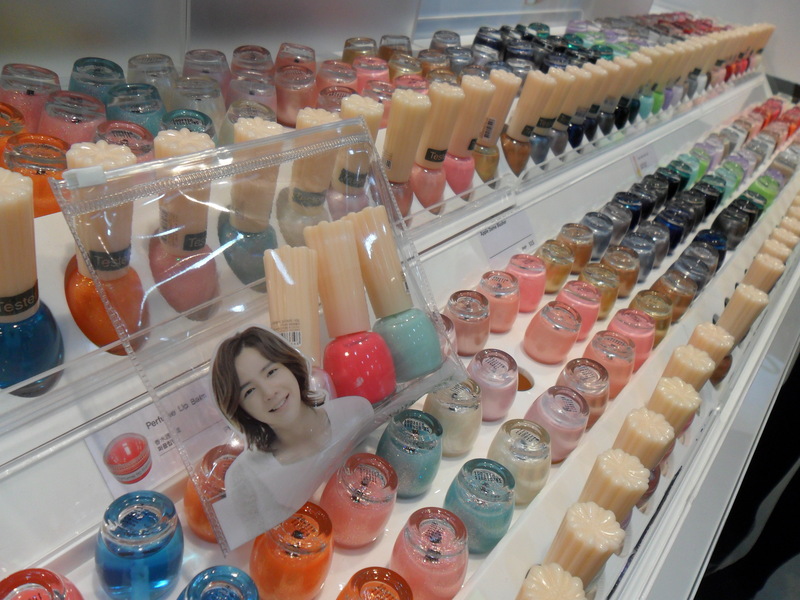 As a nail polish lover and a Jang Geun Suk fan I grabbed this promo. 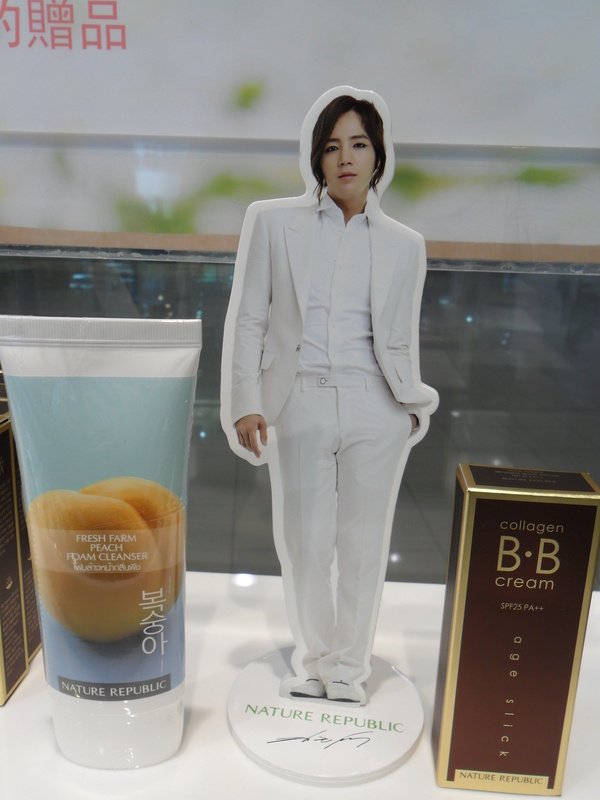 For the first 200 customers with a purchase of at least Php 500 one gets a choice of BB cream, facial wash a JGS standee or a poster. 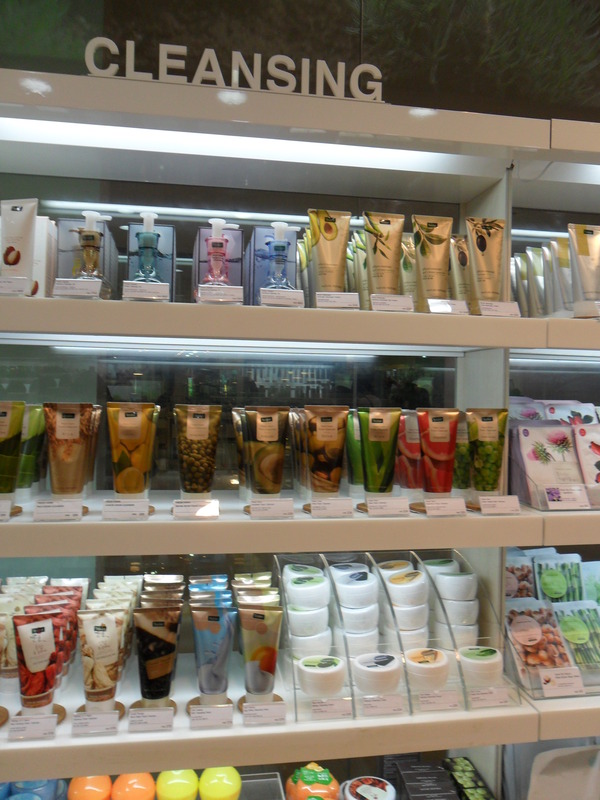 Hmm, it’s hard to choose right; the freebies are all enticing to the senses. Just recently I became a fan of facial masks so this one gets me knocked down – Free JGS facial mask for a purchase of a bottle of clay mask. 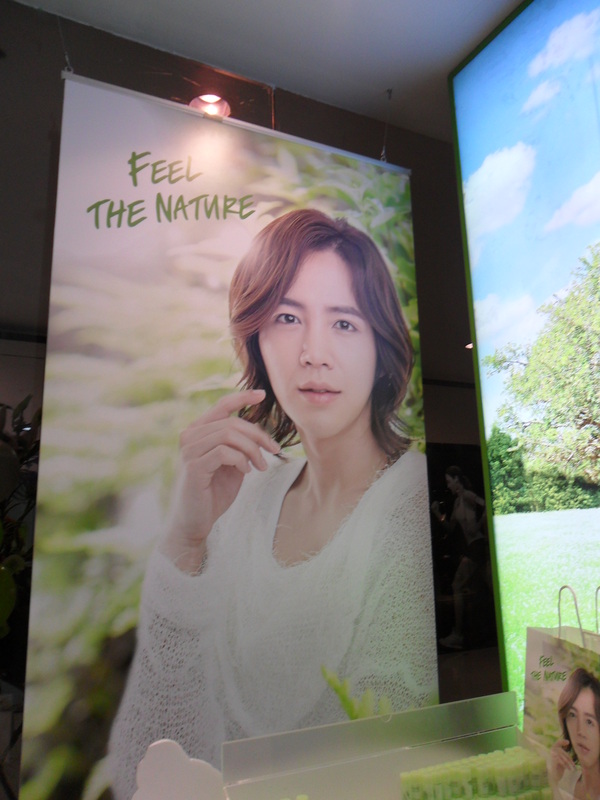 Nature Republic boosts of its cosmetics and skincare products made from nature and I must say that the store ambiance is really greeny fresh. After literaly touring the store, its time to finalize items to buy. I’m a known fickle minded when it comes to choosing and its really hard since I want to try everything I see. Finally I head into the counter and this is what I saw. OMO! 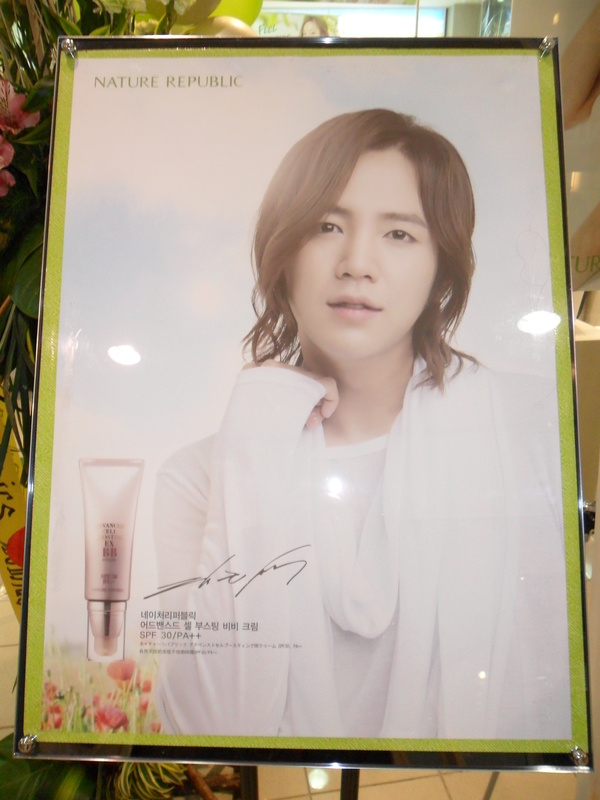 A blown up poster of Sukkie. I can’t help it and blurted “Ang gwapo”. I then asked them if it’s near possible now that he will visit Philippines soon since he’s their product endorser. The promo ladies at the cashier booth asked me if I’m a fan. 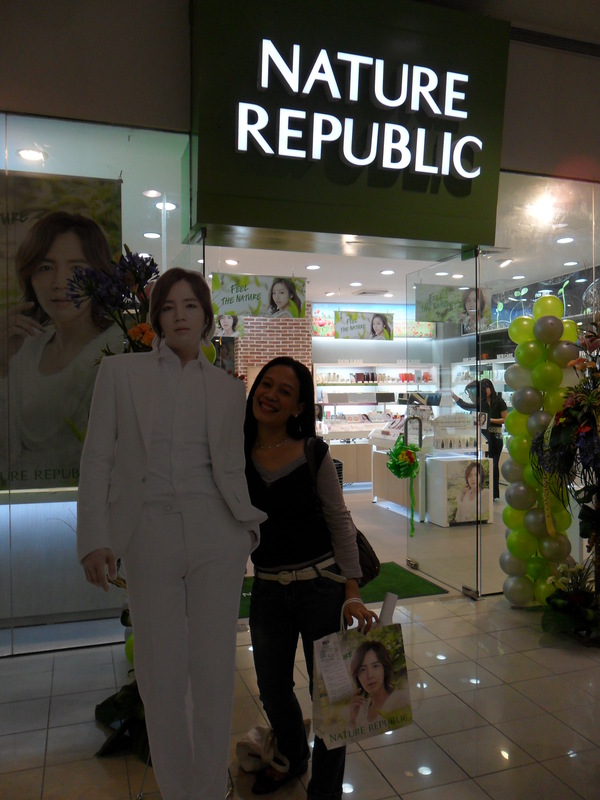 Obviously I said yes and here’s what they buzzed me, Jang Geun Suk is coming here in April 2012, OMG! 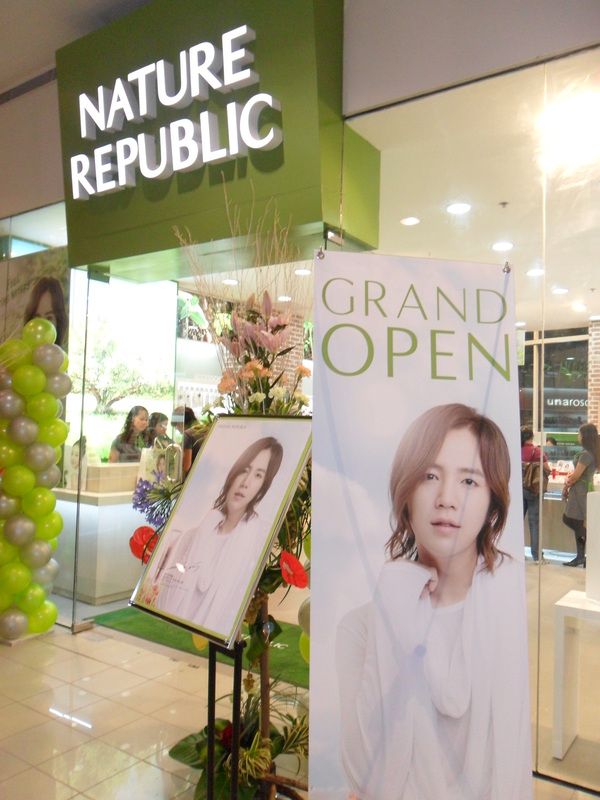 They are not just sure of the details if it’s a concert or just a tour to promote Nature Republic here in the Philippines. 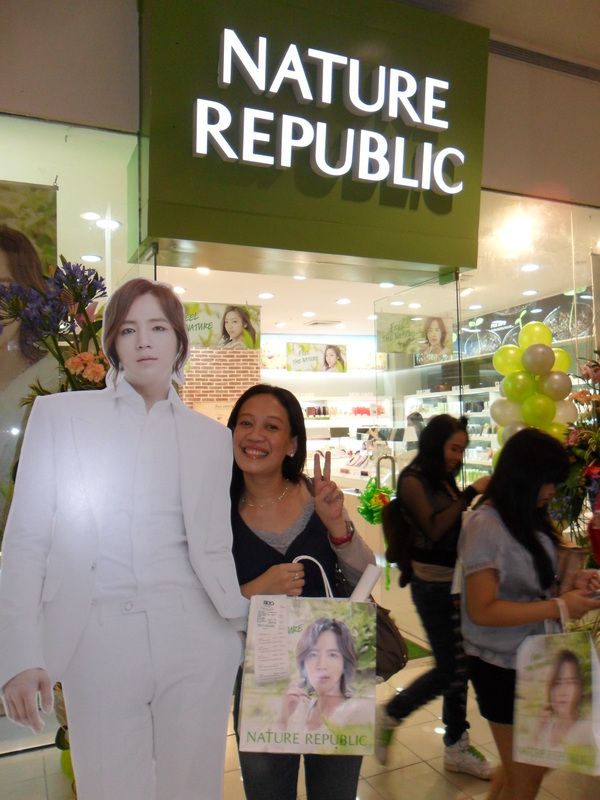 All they say is that more or less 99% Sukkie is flying here next year. Happiness much! 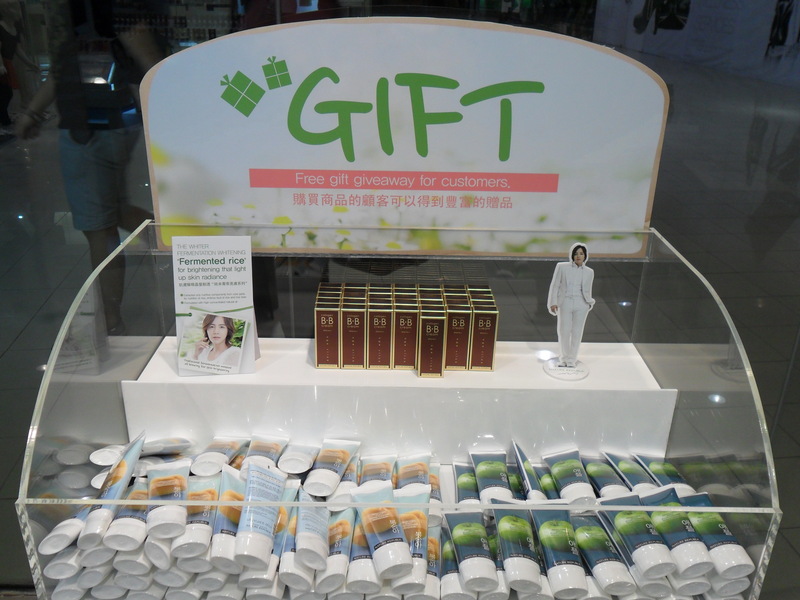 I clearly remember doing this thing when I visited Korea last year the time when Rain is still the product endorser. 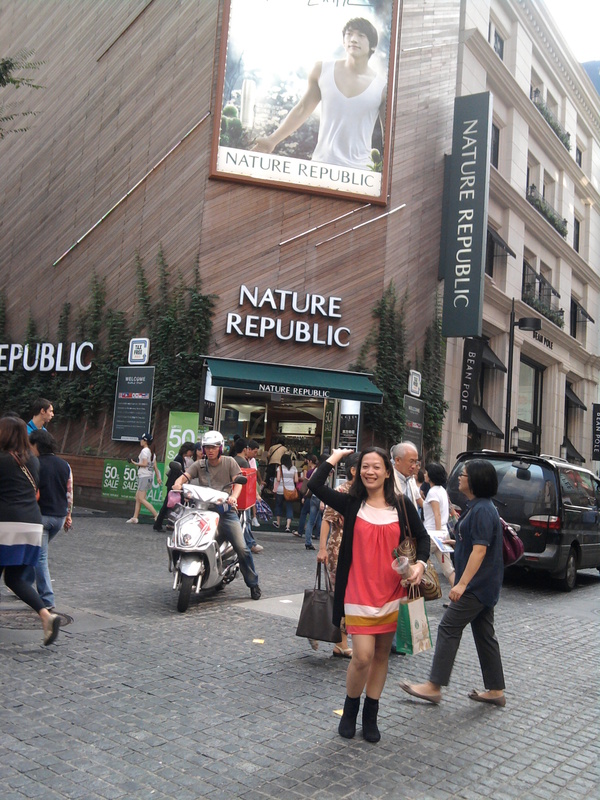 I crazily pose in front of the Nature Republic store in Myeongdong Seoul. They are really fond of having this giant sized poster. It’s no doubt I enjoyed this store Grand Opening day. In my delight I asked a store assistant to pose for a shot as a way of showing my appreciation. 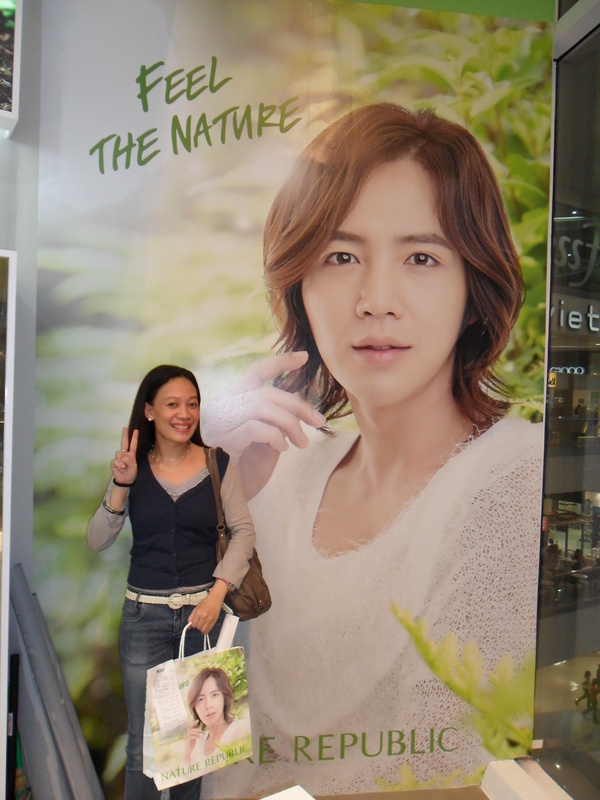 She gladly did with a smile and take note the mirror reflects JGS smile too. Heaven. 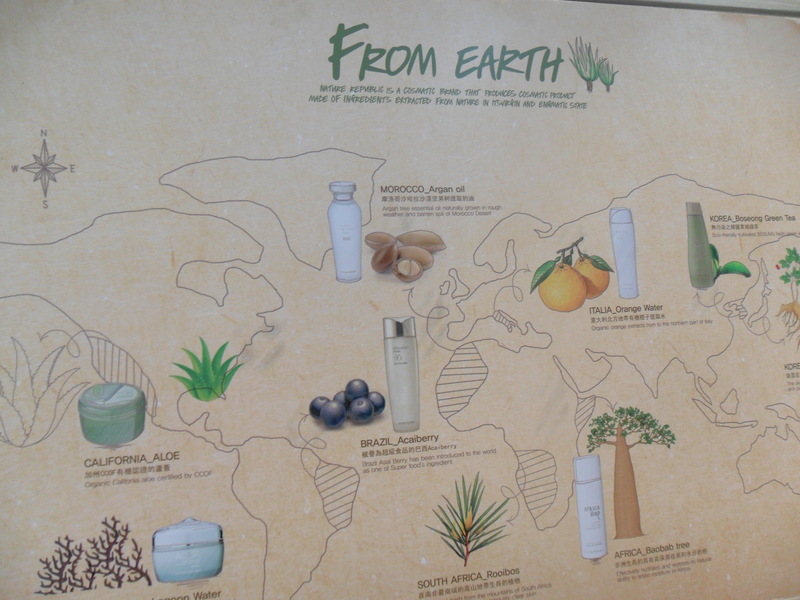 Here’s what I brought home, aside from a happy heart – a limited edition JGS paper bag full of natural products to try on. 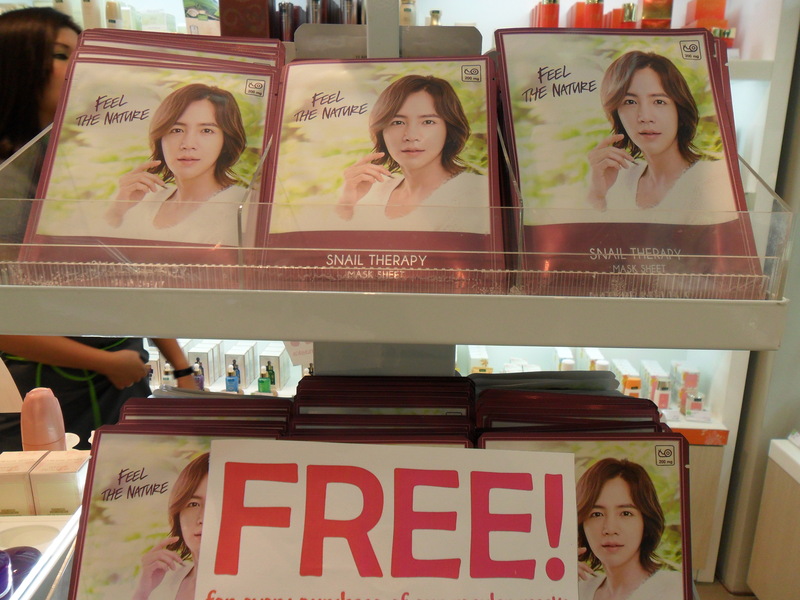 As one of the last few customers of the day I feel lucky enough to have not one, but three freebies: a facial wash, the JGS clear pouch and of course a poster! I even signed on a membership card that’s free for a purchase of at least 1000 pesos. 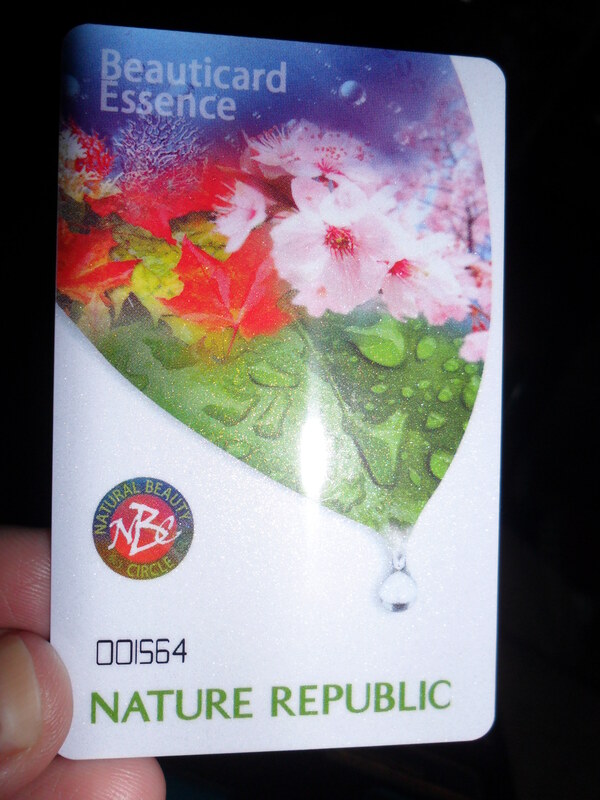 It gives an instant 10% discount on my purchase and a lot of exclusive perks for Nature Republic patrons. I think I will love this store in the next few months not just because of its endorser but mostly of their organic products for a reasonable price and a very good customer service. Another brand addition to my Korean kikay kit. Friends don’t be surprised if my Christmas gifts will mostly come from this shop. 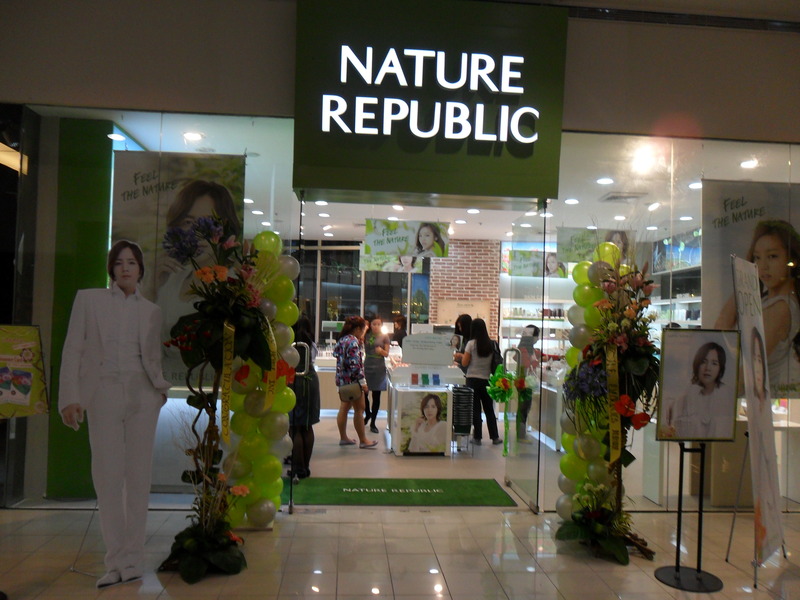 Nature Republic can also be found at Festival Mall Alabang, their first store here in the Philippines. 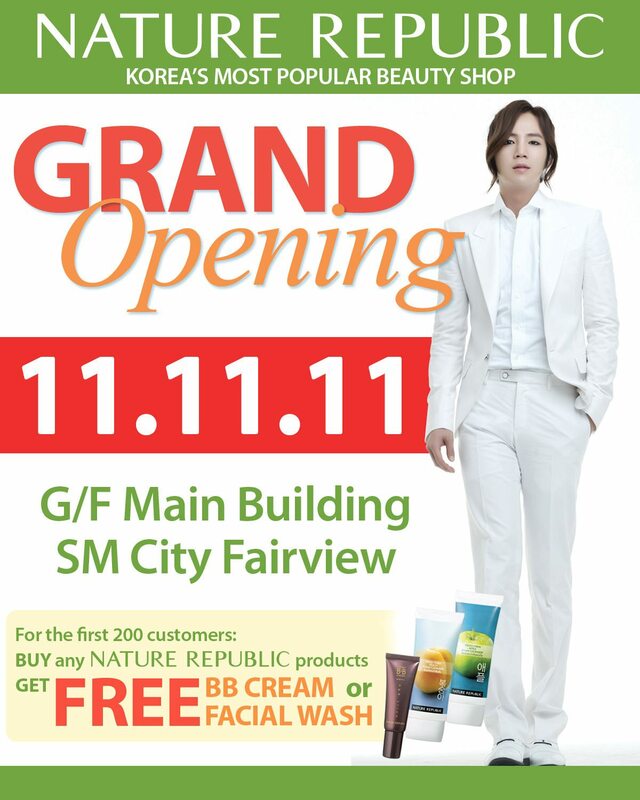 Soon to open in SM Fairview on Nov 11. So girls and ladies rush to the shop near you. 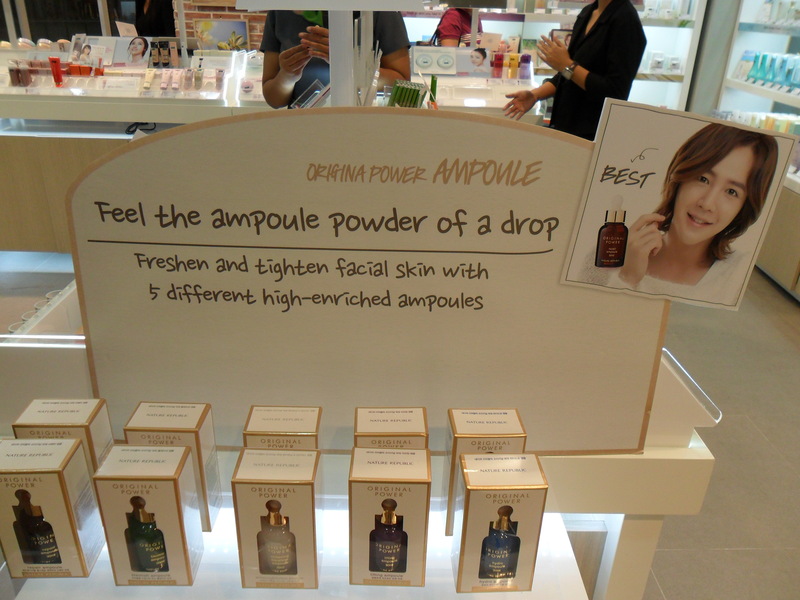 I’m sure they will extend the store promotions mentioned (while stocks last) and even have new ones as they promote this new Korean beauty brand in the Philippines.